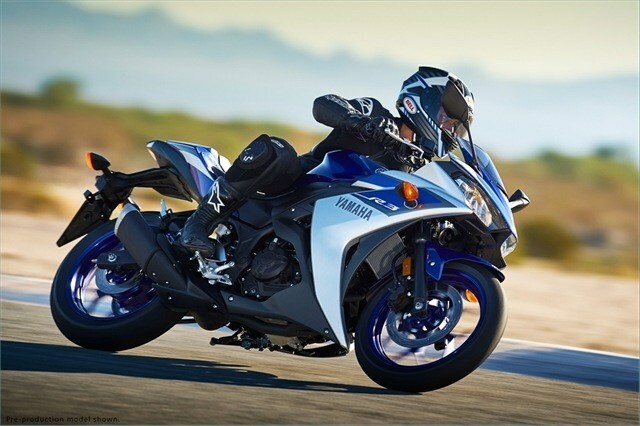 Introducing the easiest way to enter the world of Yamaha R-series superbike performance. 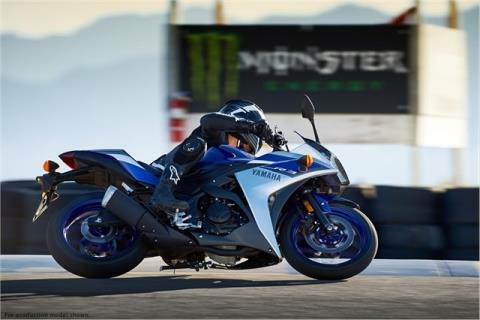 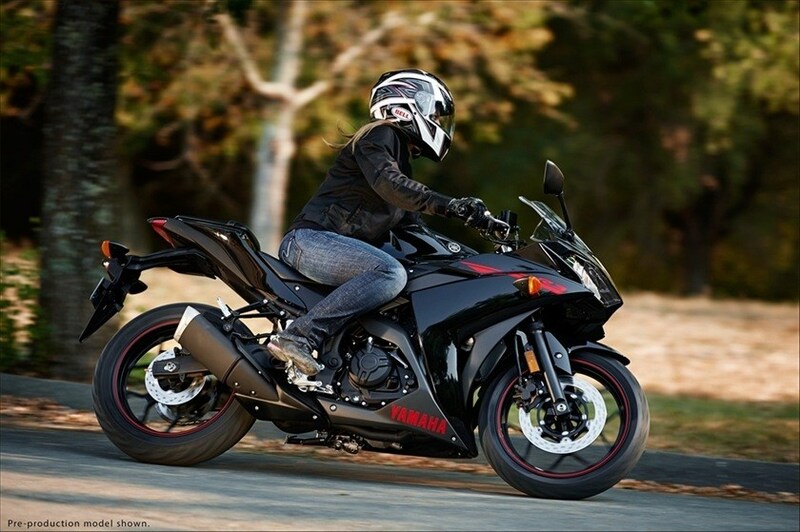 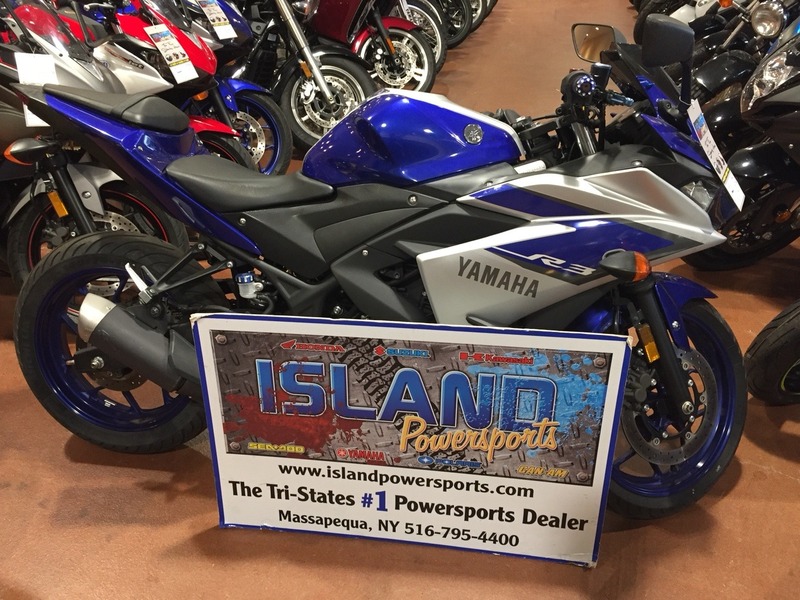 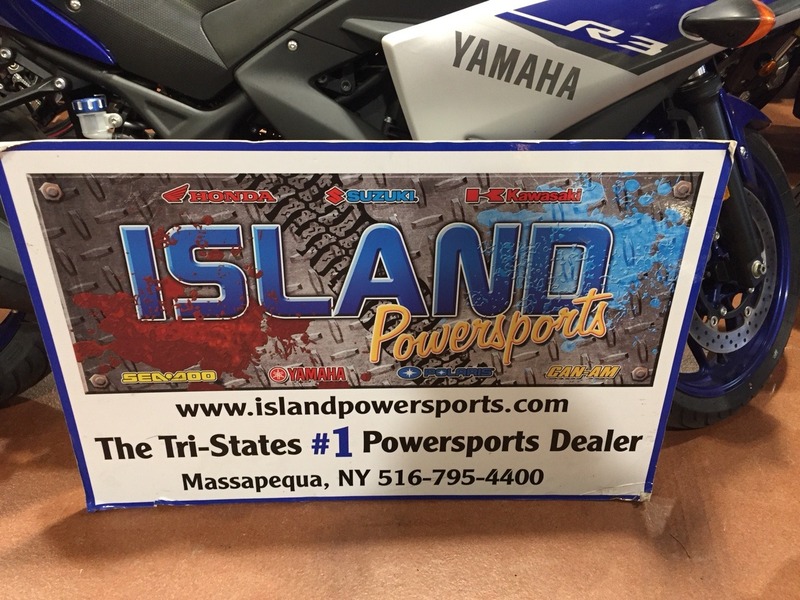 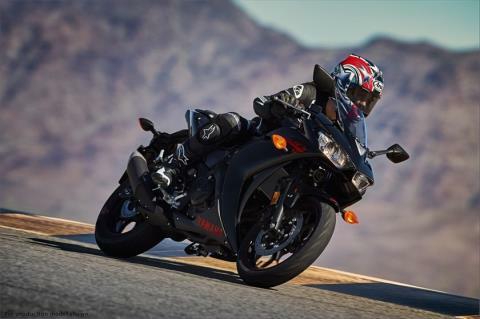 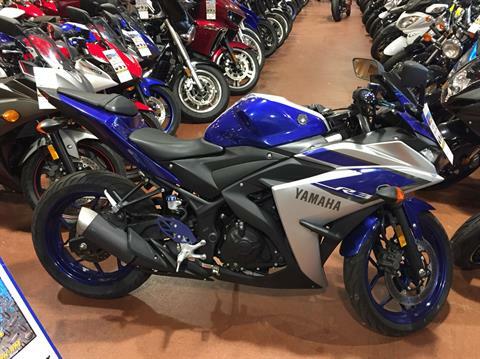 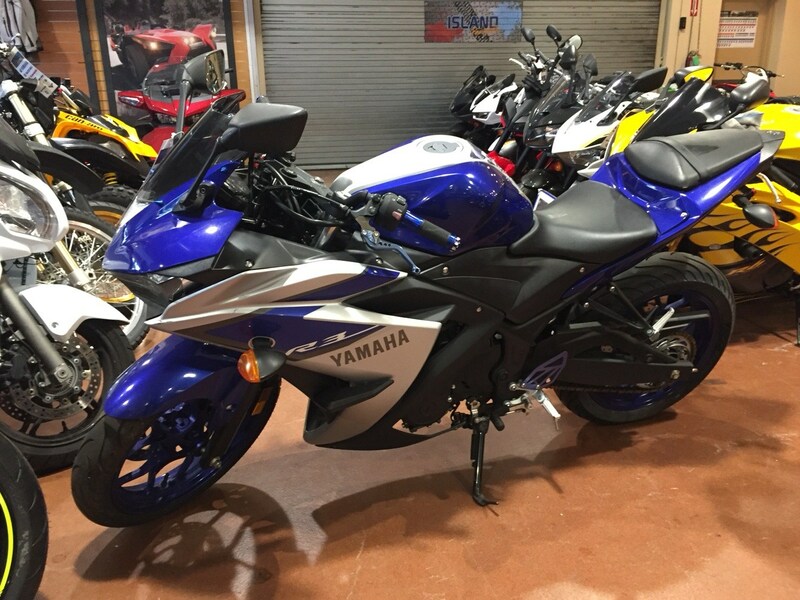 The all-new R3 features a class-leading, fuel-injected 321 cubic centimeter, liquid-cooled engine; a slim, lightweight chassis for agile handling; and legendary Yamaha superbike styling, all at a super-value. 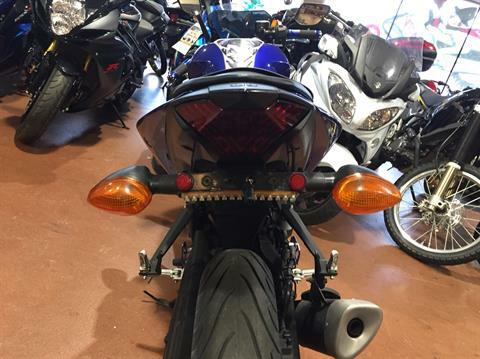 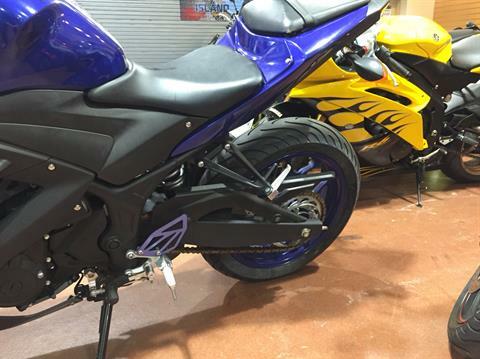 It's the ultimate 300 cubic centimeter sportbike. 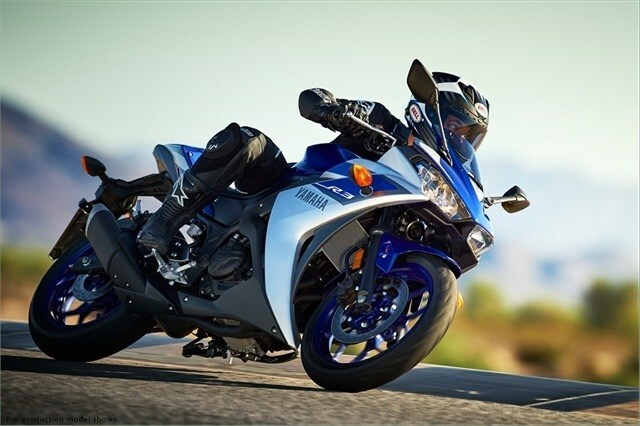 The price is for financing with approved lender. If you are paying cash price will be $750.00 additional. 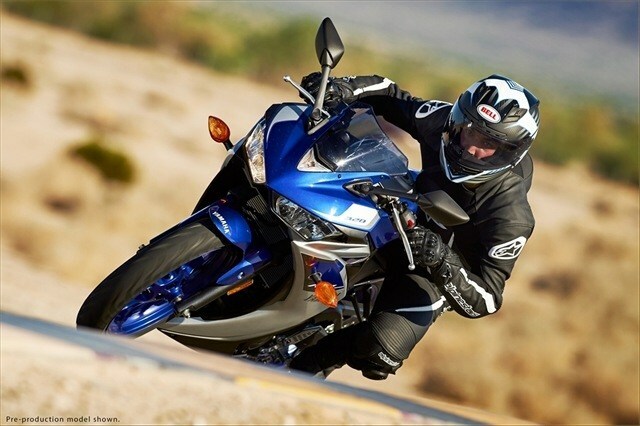 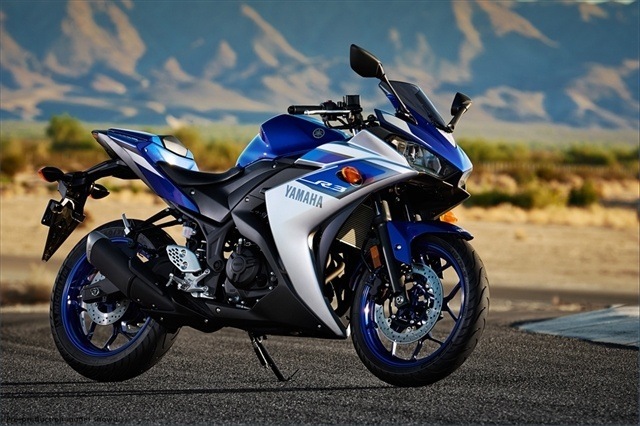 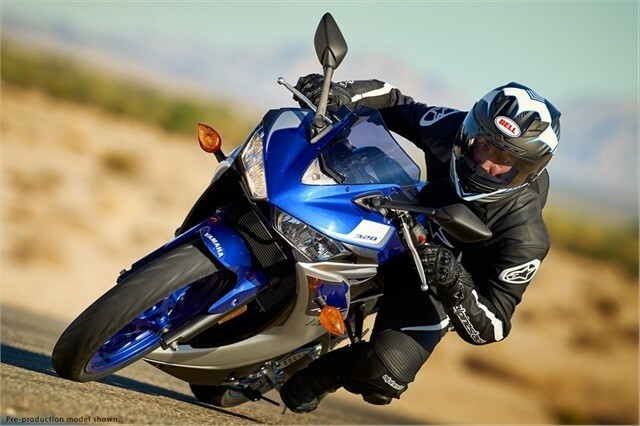 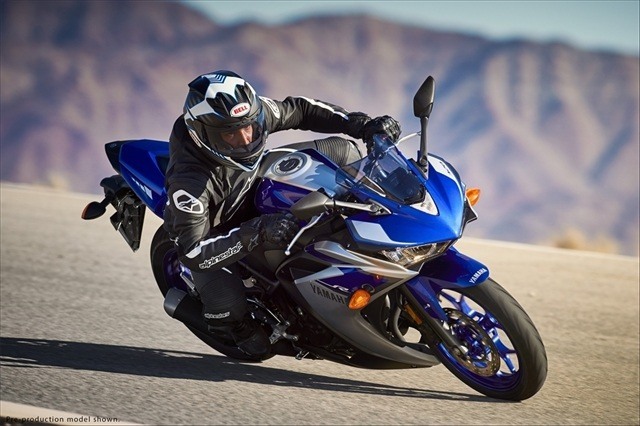 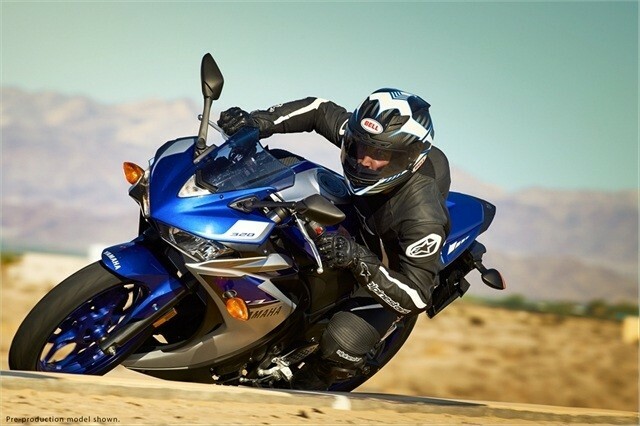 Legendary R-series styling and performance are inherent with the YZF-R3. 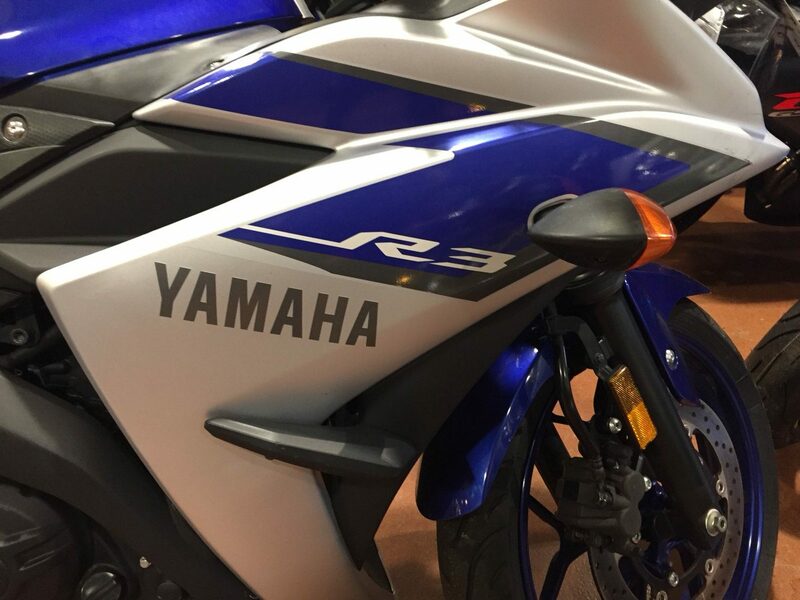 Great styling matched to excellent engine performance and chassis design are the hallmarks of Yamaha’s R-series and YZF-R3 carries on the heritage with great results. Newly designed steel frame and swingarm. 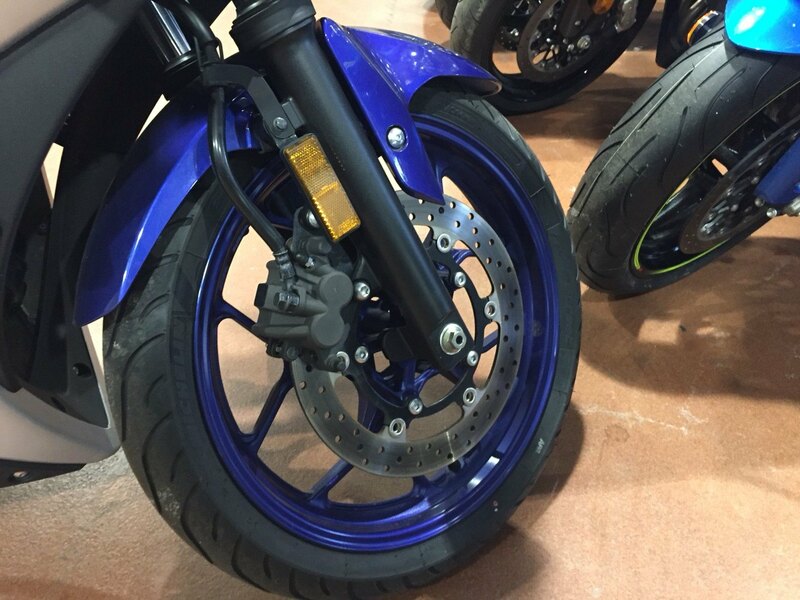 Powerful 298mm floating mount front disc brake ensure excellent stopping power while a 220mm floating disc handles the braking performance on the back. 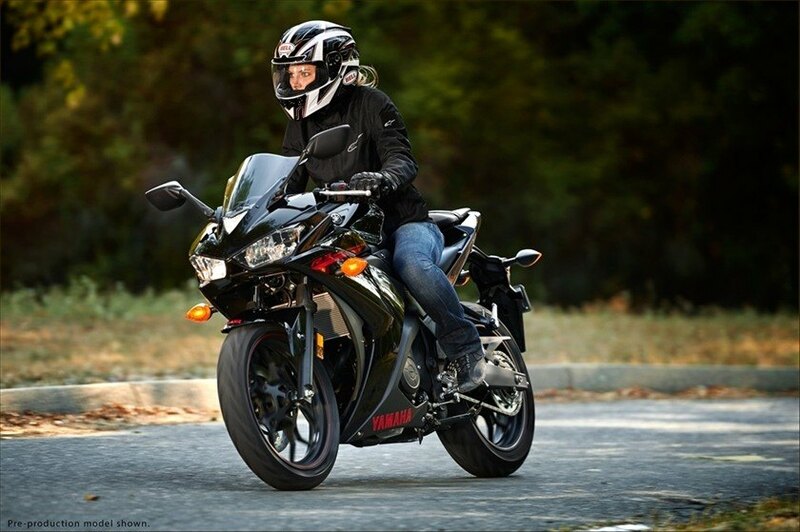 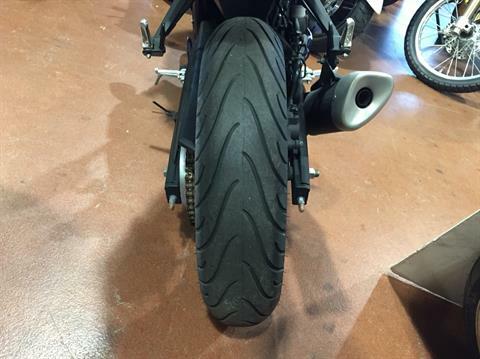 41mm KYB® front suspension offers 5.1 inches of travel for rider comfort and control. 10 spoke cast aluminum wheels are both strong and high in style while reducing unsprung weight. 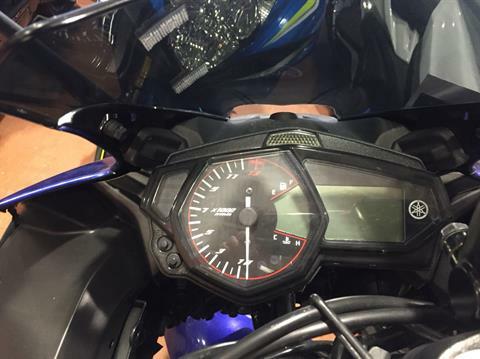 The multi-function meter informs the rider of gear position, fuel capacity, real time and average fuel economy, water temp, clock, two tripmeters and an oil change indicator light. 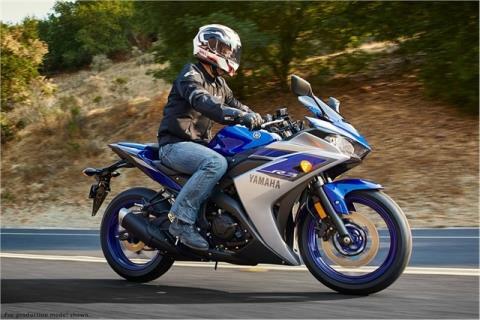 Newly developed 321cc, liquid-cooled, in-line 2-cylinder DOHC, 4 valves per cylinder, fuel-injected engine delivers excellent power and performance throughout the powerband. 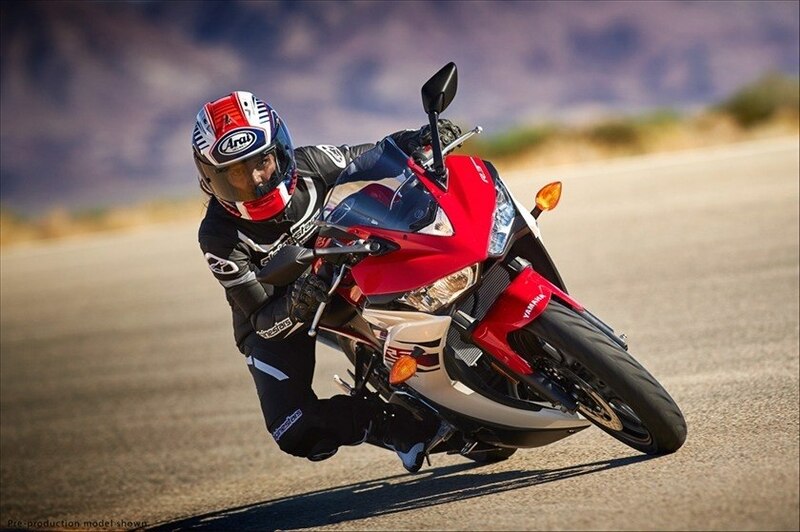 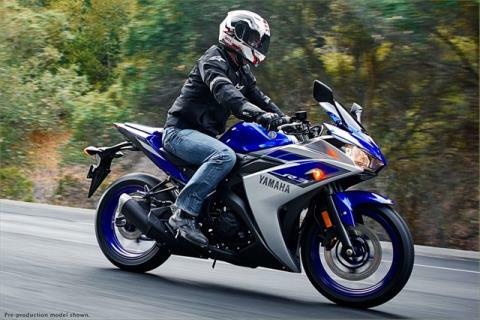 With a compression ratio of 11.2:1 the engine develops maximum power at 10,750 rpm for an exciting ride. With a 180 degree crank design the machine provides a compact engine design and superior feeling when accelerating through the rpm range. 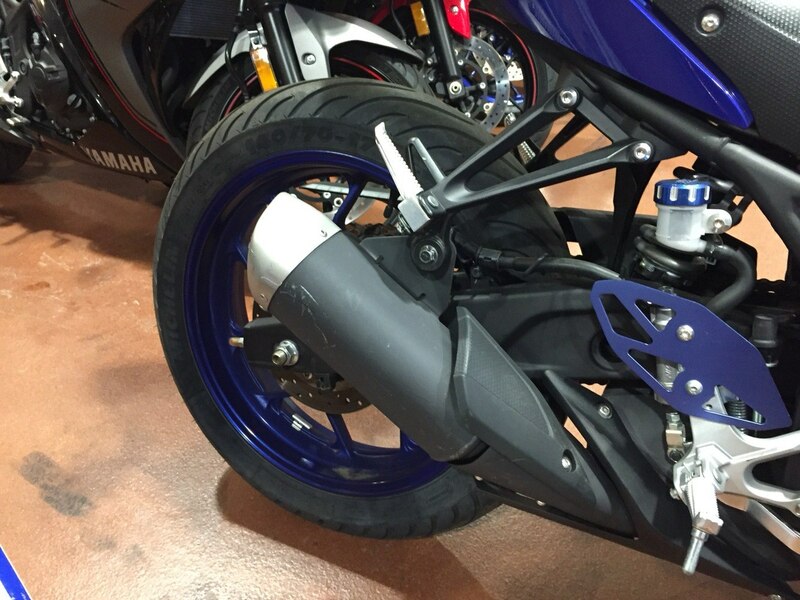 Downdraft induction fuel injection provides easy starts and smooth performance in all conditions. 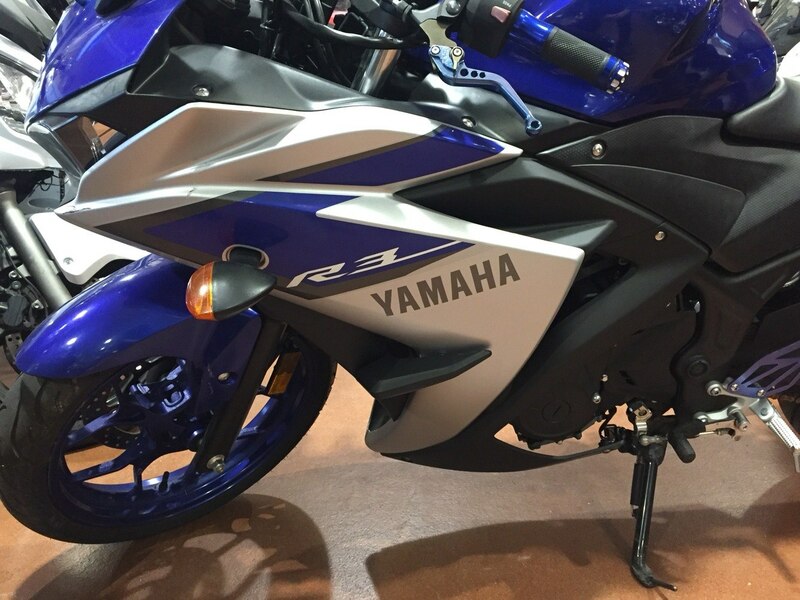 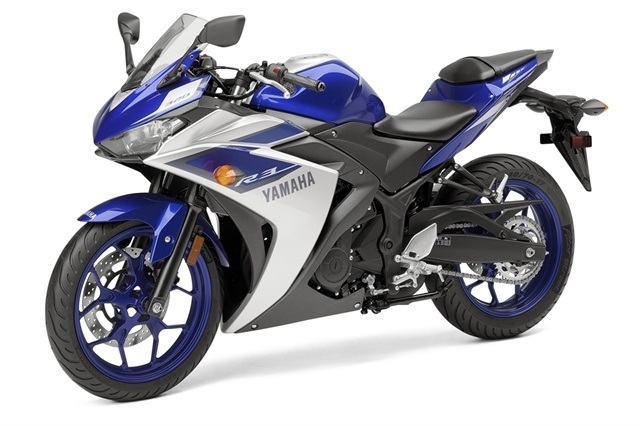 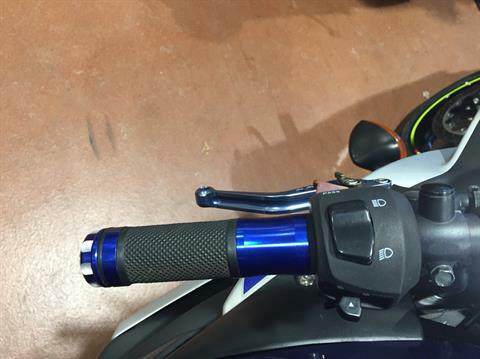 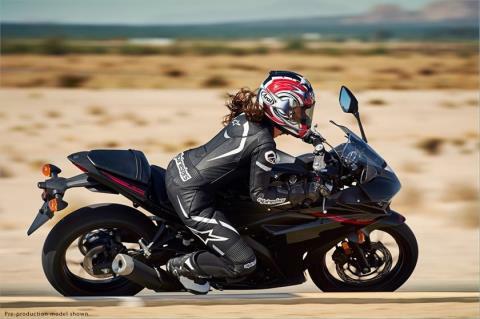 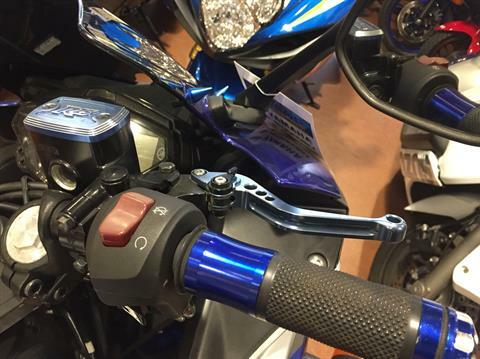 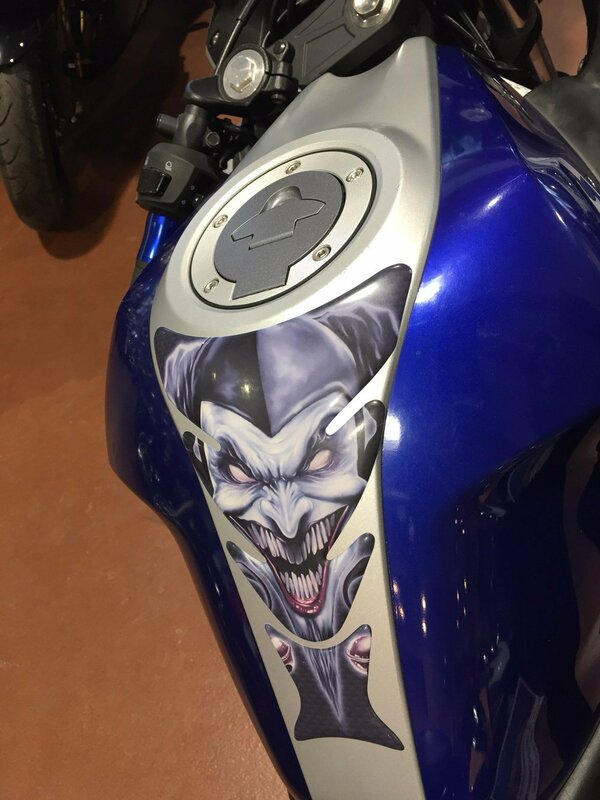 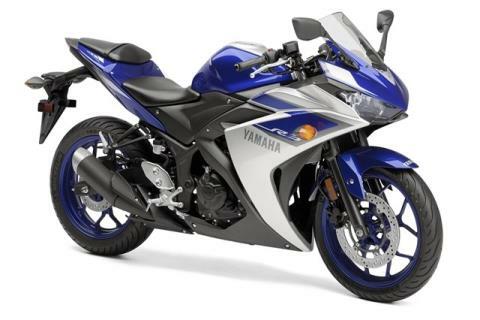 Yamaha’s all-aluminum DiASil cylinder is used to ensure excellent heat dissipation and the unique design reduces horsepower loss. 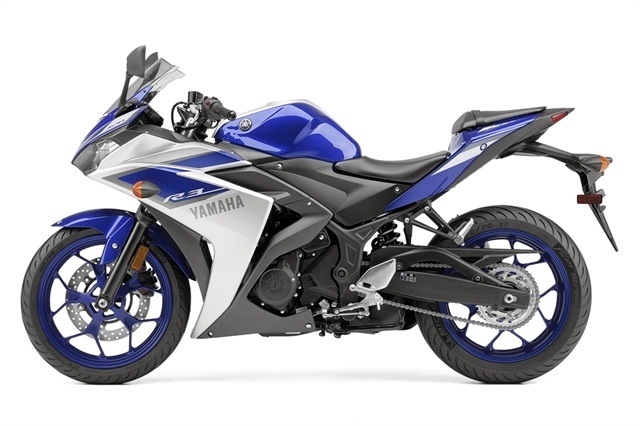 Forged aluminum pistons, same technology used for the R1 and R6 means lighter weight and excellent strength at higher temperatures while the offset cylinder helps reduce horsepower loss at the point of combustion. Large 321cc twin-cylinder engine offers excellent performance whether navigating cross-town traffic, hitting the twisties, or on the racetrack. 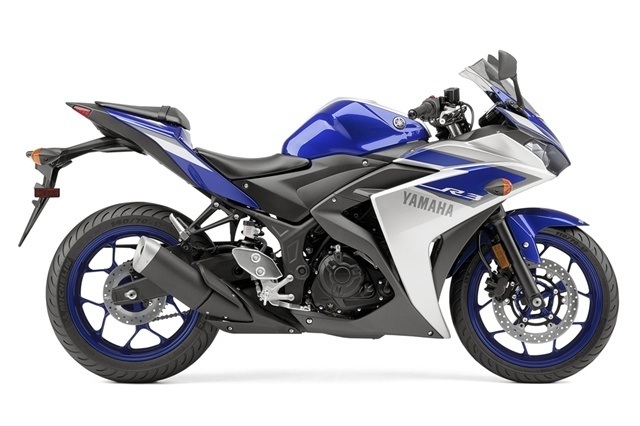 Yamaha supersport inspired styling with a full fairing in a chassis that makes it perfect for first time riders or experienced riders who prefer a lightweight, nimble machine. 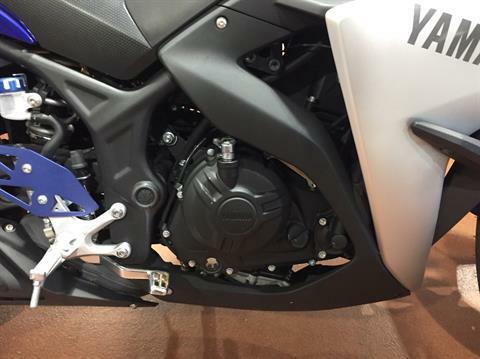 Forged pistons just like the R1 and R6 are both lightweight and provide strength while the offset cylinders reduce friction for more power. 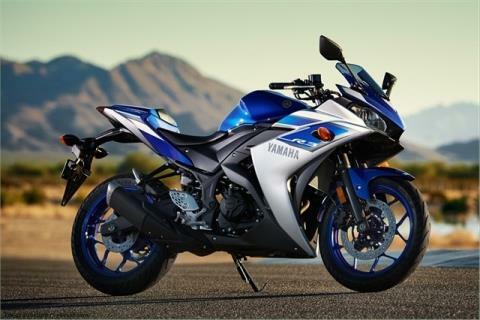 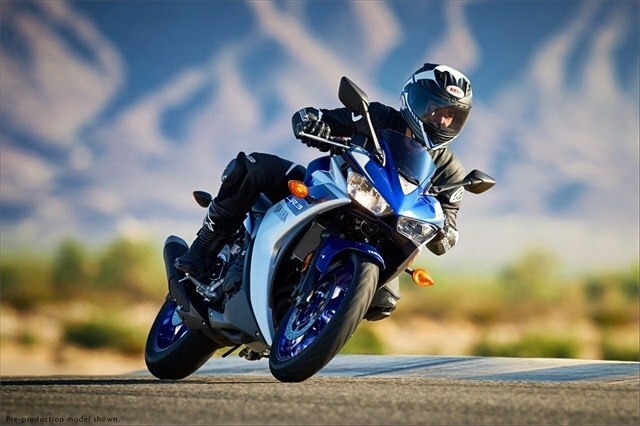 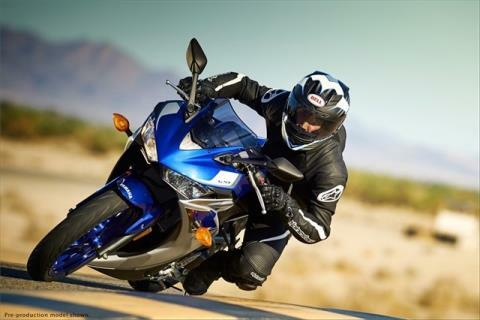 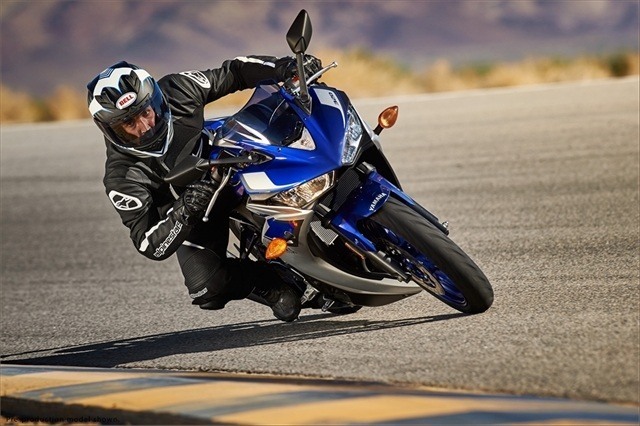 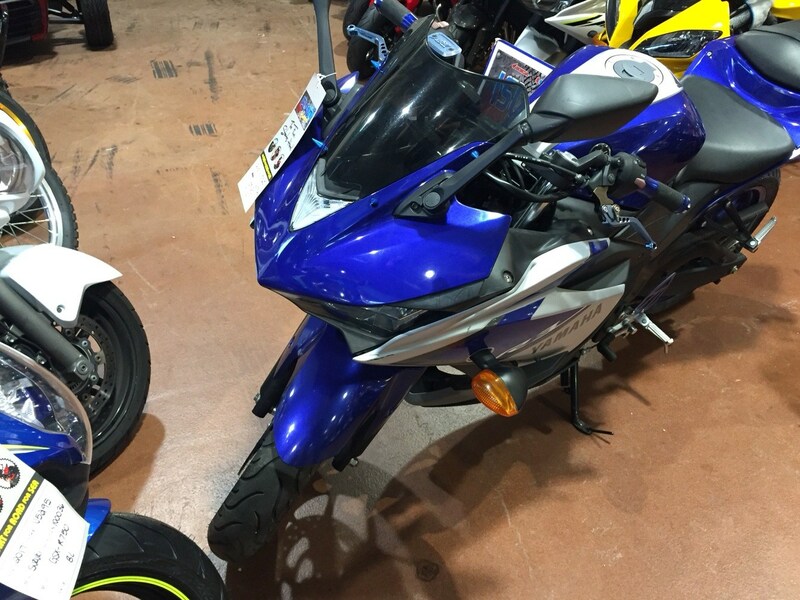 The YZF-R3 offers a riding position that is very comfortable and the clip-on handlebars deliver a sporty rider position. 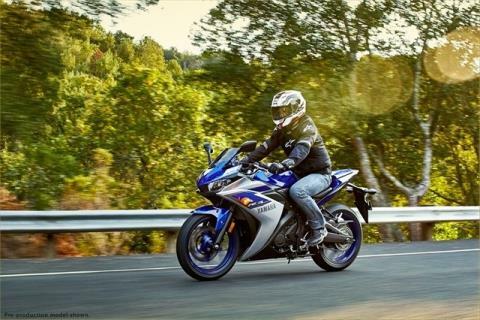 With a seat height of only 30.7 inches and a flat seat design on the YZF-R3, it’s easy to get both feet firmly on the ground and inspire confidence, especially for beginner riders. Three beautiful livery options are available which means there is a color choice that is right for you.